Then in 2007, all that changed when Prosper.com launched the first peer-to-peer lending service in the US. Since that time a number of other Crowdfunding sites have popped up, including Kickstarter, which in 2012 raised more than $10 million for the Pebble Watch project. Simply put; Crowdfunding is a collective cooperation of people who network and pool their money and resources together, usually via the Internet. Now anyone with a computer or mobile device and an internet connection can research, review and become an investor in a business with a push of a button. With the growing popularity of crowdfunding sites, it's clear the idea of advertising to the general public through a crowdfunding platform is far more effective at drawing in investors as opposed to finding traditional investors the old fashion way; such as Friends & Family, Banks or Angel/or Venture Capitalist. To put it bluntly, crowdfunding empowers entrepreneurs. It offers them the ability to raise capital without giving up equity or accumulating debt. Instead, these rewards-based crowdfunding platforms allow entrepreneurs to raise capital from the public in exchange for tangible products or other relative rewards. It's simply one of the best ways to cast a huge net for attracting investors to a business. However, with all the hype and popularity buzzing around the internet, many entrepreneurial hopefuls need to be aware that just because launching a crowdfunding campaign is simple doesn't mean it's easy. Be prepared for questions from investors now. How do you plan to spend the money? Do you have an exit strategy? What are your short- and long-term goals? There is a big misconception on what it really takes to reach a funding goal and achieve success in crowdfunding. It's not as simple as creating a campaign and clicking the submit button and waiting for an idea to go viral. Constant follow up is needed. The good news is you can succeed in crowdfunding, you just need to know how to prepare for it. Also, in order to promote your project efficiently and economically, you can visit on line site like 40Billion.com which specializes in promotion of small businesses by broadcasting and promoting to its large network of several million users across the most popular social networking sites for small businesses - including Twitter, LinkedIn, 40Billion, and even Facebook. Innovative services like promoted posts and promoted company listings were created for small entrepreneurs to tap into a growing, active network online without spending thousands on pay-per-click ads or traditional advertising. Start writing or refining your business plan. This will help you determine the amounts of financing you are looking to raise. It can also help you outline your business expectations and alleviate any concerns potential investors may have about how valid your venture is and how serious you are about it. Be more transparent. Planned the campaign six months in advance, constantly engaging your mailing list. For starters, write up your preliminary draft, include pictures and record a video explaining your vision, the offer and why you should get business funding Pre-pledges are commitments from those people who fully support your business idea and will be there to invest on day one when you launch your campaign. Since the majority of crowdfunding sites provide a 30-90-day time frame for each campaign, it's vital to launch with momentum. Every successful campaign started with a dedicated following. 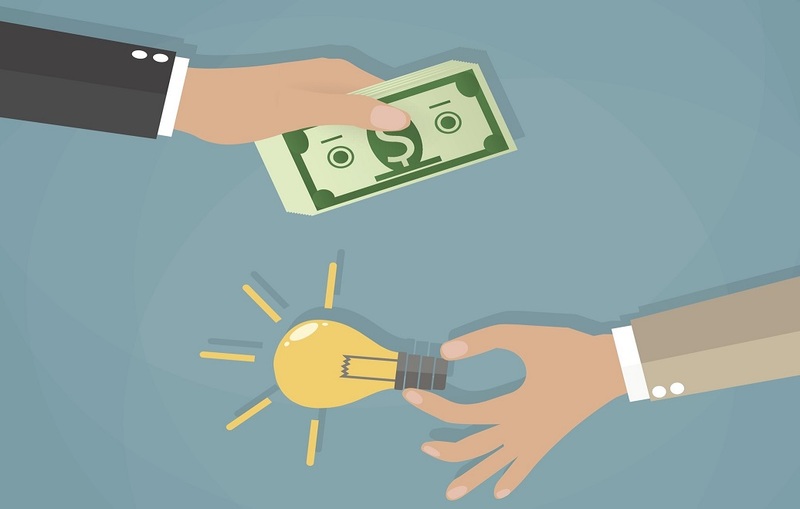 An incredible pitch is crucial for crowdfunding and can make or break landing an investor. People have to be sold on you, your idea and your vision before they will ever invest in your business. Keep the momentum of the initial excitement of the campaign. Think about ways to create a buzz around your business. Find out who your potential investors are well in advance of your listing and find out what entices them to invest. Existing crowdfunding sites are probably your best option when it comes to raising funds. Remember, third party sites are essentially middlemen; they make points of fees by matching up companies or individuals to raise funds. Have bloggers write about your campaign. This will help receive donation. Be prepared for questions from investors now. How do you plan to spend the money? Do you have an exit strategy? What are your short- and long-term goals? Have you completed the due diligence process? Do you have trademarks, patents or copyright in place? If you are launching a crowdfunding campaign for a product, go above and beyond to show your audience all of its features as if they had it in their hands. Have a strong video that clearly shows the product and how to interact with it. Make sure your materials lay out the technology and its functionalities in a way that is comprehensive, but easy to understand.